Pedicularis canadensis commonly known as Lousewort (Pedicularis) is actually a flowering plant in the Orobanchaceae family. It was formerly (and to some still) in the Scrophulariaceae. All the Scrophulariaceae that are partly or fully parasitic on the roots of other plants were moved to this family. The plant is native to Eastern North America from Nova Scotia to Manitoba, south to northern Mexico and east to Florida. In Missouri, it typically occurs in dry woods, ridges, meadows and prairies throughout most of the state (Steyermark). 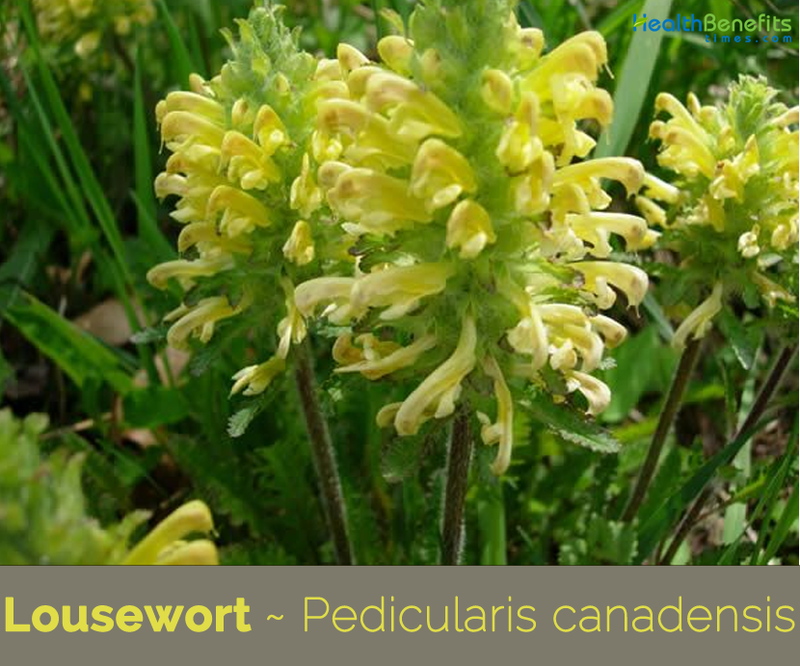 It is known by a large variety of different common names including Wood Betony, Beefsteak Plant, Canadian Lousewort, High Heal-all, Snaffles and Canada Lousewort, Common Lousewort, lousewort, Betony, Early lousewort, Canada wood betony, Early Wood Lousewort and Head betony. 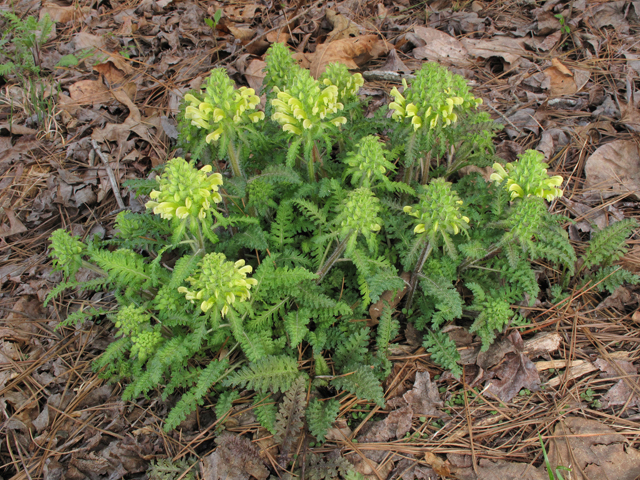 Genus name comes from the Latin word pedicularis meaning relating to lice. Specific epithet means of Canada. Common name is in reference to a once believed fable that animals (including cattle and sheep) became particularly susceptible to lice infestations after feeding on these plants. Common name is in reference to a once believed fable that animals (including cattle and sheep) became particularly susceptible to lice infestations after feeding on these plants. 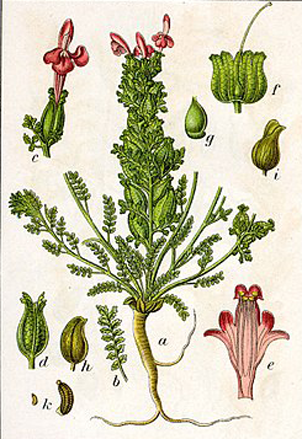 Interestingly, a strong decoction of wood betony can be used to rid people and animals of lice, a possible alternative source of the name lousewort (i.e. louse = singular of lice and wort = an herb that treats) for this genus. Lousewort (Pedicularis) is a perennial, low growing hairy plant that grows about 5 to 14 inches tall. The plant is found growing in Anthropogenic (man-made or disturbed habitats), forests, meadows and fields, woodlands, mesic to dry black soil prairies, open woodlands, sandy woodlands, savannas and sandy savannas, thickets, and borders of lakes and along roadsides and clearings. 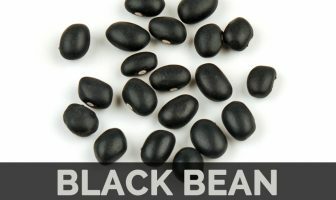 The plant normally prefers average, medium moisture, well-drained soils. The main stem is densely hairy. Leaves and stem may be green or tinged red. The plant does not have any bark. Leaves are mostly basal, alternate up to 6 inches long and 2 inches wide, with many deeply cut, toothed, rounded, often wavy lobes around the edges and a long stalk sparsely covered in long white hairs. A few leaves much smaller than the basal leaves are also alternately attached on the stem. The leaves have a fuzzy texture from small soft hairs that also over the stem of the plant. 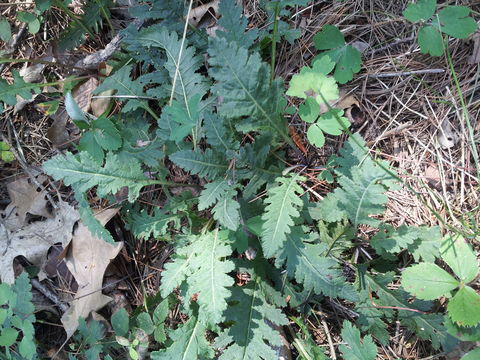 The leaves appear fern-like and many grow from the base of the stem. Leaves remain green through the growing season. Flowers are in a thick spike up to 3½ inches long at the top of the stem. Individual flowers are yellow, rarely reddish brown, ½ to 1 inch long; tubular with the upper lip longest and curving over the lower lip like a hood. The upper lip curves downward (like an elephant’s trunk) and functions as a protective hood, and the lower lip serves as a landing pad for insects. The lower lip may be white. 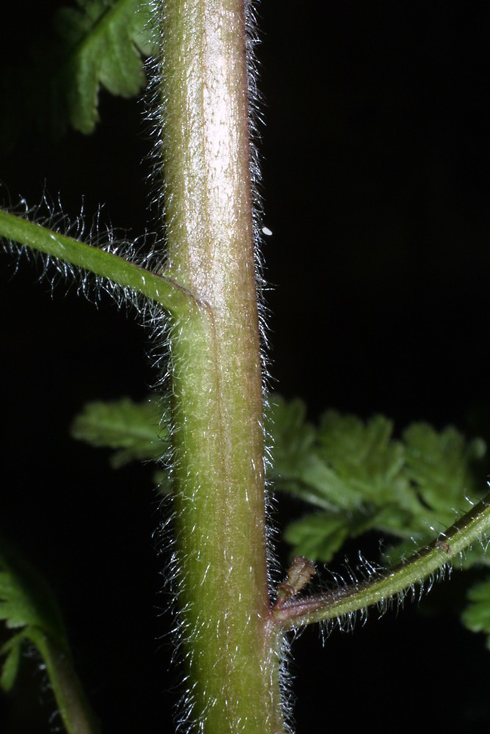 The leafy bracts are lobed and toothed, with long hairs around the edges. The bracts are twisted so that the flowers are turned sideways. From the top of the plant the arrangement resembles a pinwheel. Flowering normally takes place from July to August. 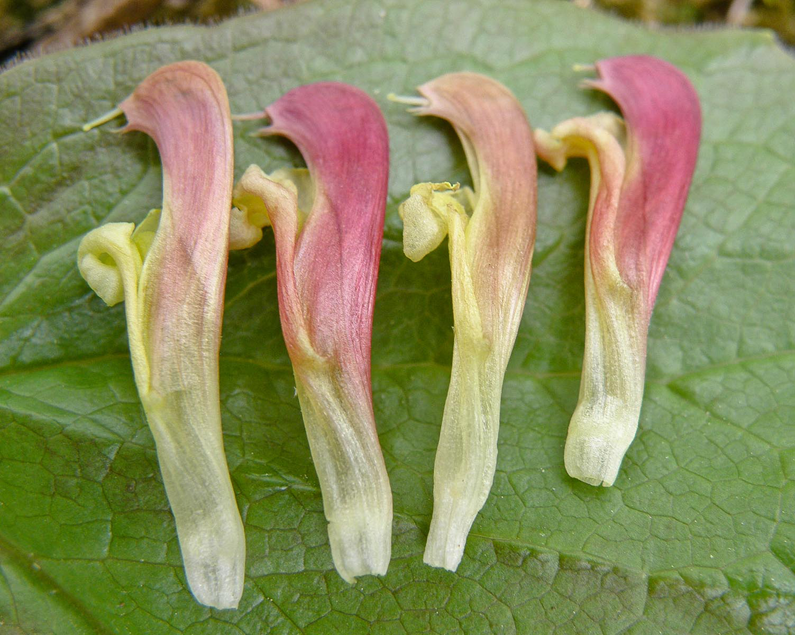 Flowers are followed by long brown angular capsule about ½ inches long, containing many small seeds. Seeds are swollen, sometimes winged, pitted, net-veined, striated or ribbed. It is a parasite, attaching to the roots of diverse species. Roots are blood tonic, cardiac and stomachic. Tea is used in the treatment of stomach aches, ulcers, and diarrhea, anemia and heart troubles. Poultice of the root is applied to swellings, sore muscles and tumors. Finely grated roots were secretly added to food as an alleged aphrodisiac. An infusion of the leaves has been used to procure an abortion. An infusion of the fresh or dried leaves has been used to treat a sore throat. Native Americans used the roots to reduce internal or external swelling by tea or poultice respectively. Medicinal infusion of the roots is used as blood tonic, cardiac for anemia and heart troubles and to treat stomach aches, ulcers, and bloody diarrhea. Medicinal poultice of the crushed root is applied to swellings, sore muscles, varicose veins, and tumors. Roots are finely grated and added to food as an aphrodisiac. Medicinal infusion of the fresh leaves or dried herb has been used to treat a sore throat, tonsillitis, cough and bronchitis. Infusion also used to treat headaches, dizziness, urinary, bladder and kidney pain. Wash or dip in a strong decoction is used to rid animals and people of lice and scabies. Fresh or dried plant is used as an external wash or vulnerary for minor scrapes, abrasions, and skin injuries. Tea of the leaves and roots, taken internally, acts as a skeletal muscle relaxant. It is useful as a relaxant herb for muscle tension, and it helps relieve neck and back pain. It can be used as massage oil for spasming muscles and neck tension. For a massage oil blend, mix pedicularis with other musculo-skeletal herbs such as cramp bark, goldenrod, and mullein root to ease back tension. Add St. John’s wort if sharp, shooting nerve pain is present. 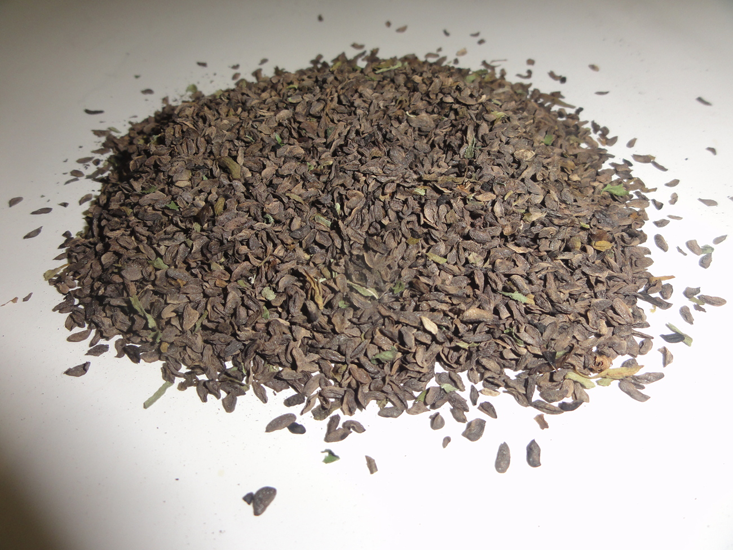 As a tincture it is used for a muscle relaxant for the upper shoulders and neck. 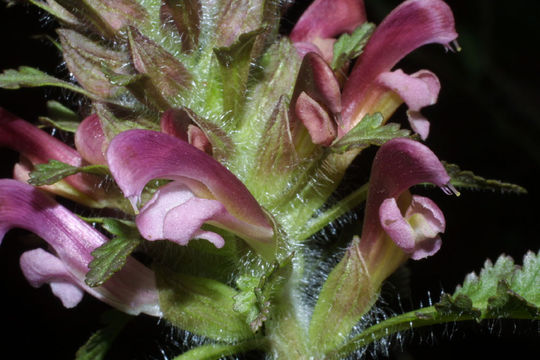 A skeletal muscle relaxant formula of Pedicularis in combination with Skullcap and Black Cohosh will relieve muscle tension specific to the upper and lower back, but will not relieve any pain associated with tension. It was secretly, perhaps maliciously, put in the food of an intended as an aphrodisiac. It was added to oats and used as horse feed by Native Americans. Root was also used to heal broken marriages by placing it in food the couple would both eat, hoping its magic would rekindle romance. Early Europeans believed that cattle, feeding on lousewort, became covered with lice. The plant is said to be poisonous to sheep. 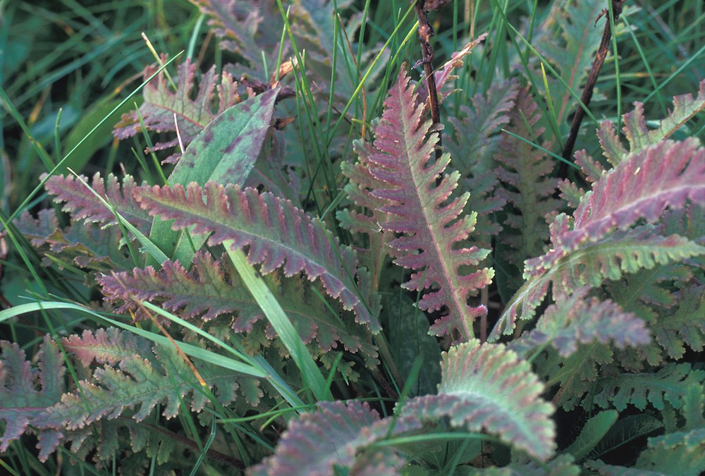 Pedicularis is a parasitic plant and may take up the toxins released by neighboring plant foliage. Make sure that you harvest in areas where pedicularis is not growing alongside poisonous plants, such as poison hemlock. Eaten by Iroquois as a vegetable, like spinach, it was also used by early Canadian settlers in soup. 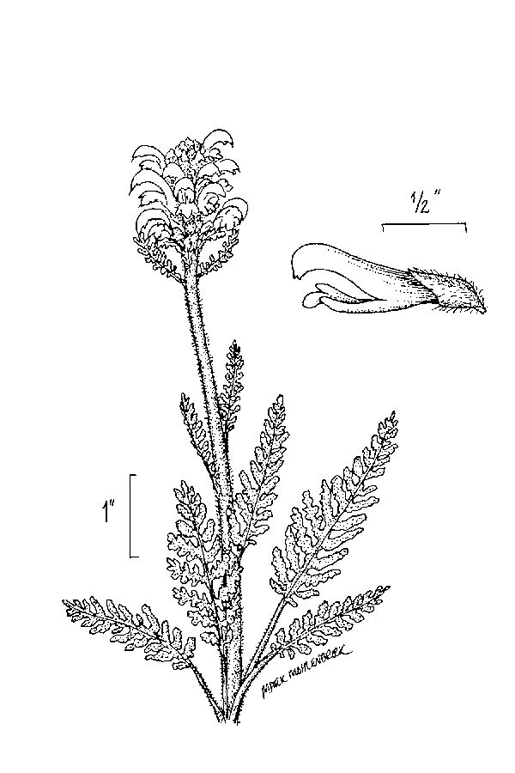 Pedicularis canadensis var. canadensis L.